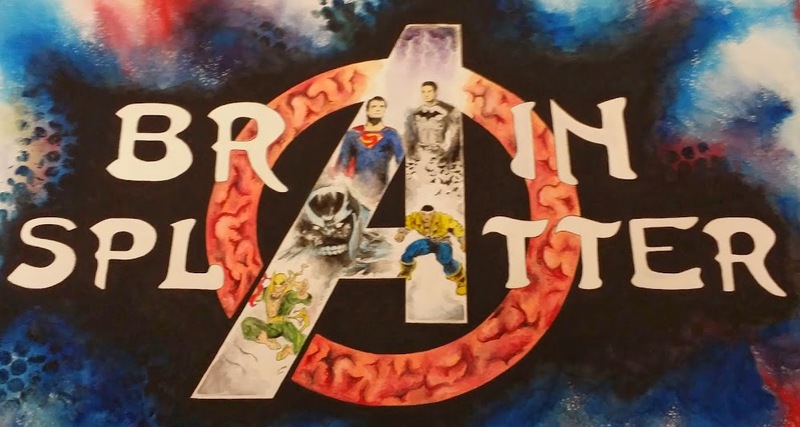 Comic Book Brain Splatter: Will Marvel's S.W.O.R.D. Establish a Presence in the MCU? Will Marvel's S.W.O.R.D. Establish a Presence in the MCU? 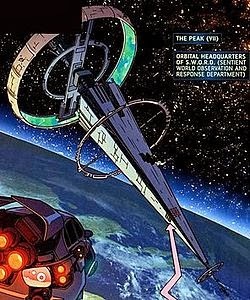 The Sentient World Observation and Response Department (S.W.O.R.D.) is basically Cosmic S.H.I.E.L.D. Headed by Abigail Brand, S.W.O.R.D. is tasked with keeping an eye on all things taking place in the universe from aboard the Peak, a space station orbiting the Earth. The MCU finds itself in a perfectly prepared position for an organization like S.W.O.R.D. in the aftermath of the events of The Avengers. Having been alerted to the existence of aliens, especially the sort of aliens that try to kill everyone, an organization that deals with emerging extraterrestrial threats seems like a necessity. Joss Whedon created S.W.O.R.D. during his run as writer on Astonishing X-Men and it has slowly spread though out the Marvel universe including being a big part of the current Marvel NOW Avengers title which is a very heavy sci-fi book. I would not be stunned to see S.W.O.R.D. begin showing up in the MCU (it already made it into an alternate/deleted scene in Thor) with the further expansion into the Cosmic in Thor: The Dark World and Guardians of the Galaxy and the rumored Cosmic interactions to come in Agents of S.H.I.E.L.D. It isn't difficult to imagine a post-credits scene in either Thor: The Dark World or Captain America: The Winter Soldier involving S.W.O.R.D. and tying into Guardians of the Galaxy. One can just as easily imagine a post-credits GotG scene with Star-Lord or Rocket interacting with S.W.O.R.D. agents at the Peak. I'm sure that Agent Brand is part of the rights package that goes with the X-Men but I bet S.W.O.R.D. works just fine without her. While Agent Brand is the head of S.W.O.R.D. I can't say she is as integral a part of the Marvel universe as Nick Fury. The key piece is having the agency; not the faces of the agency. S.W.O.R.D. is just one more step in the creation of a bigger universe; it helps open other doors to other corners. I can easily see an updated origin story for Carol Danvers as an Agent of S.W.O.R.D. before becoming a human-Kree hybrid. Establishing S.W.O.R.D. as an entity allows for it to become a convenient plot device to introduce other alien races and fill in some gaps. Labels: Agents of S.H.I.E.L.D, MCU, S.W.O.R.D.